The East Valley Veterinary Clinic team of skilled veterinarians welcomes you to our practice. Proudly serving the Salt Lake City area. At East Valley Veterinary Clinic, it is our daily privilege to provide quality vet care to your cherished pet, with compassion and competence. We hope to ensure a positive impact on our patients, pet owners and the local community. 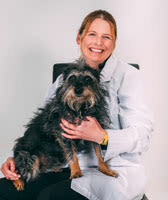 Dr. Nicole Butler attended the University of Missouri where she received her Bachelor degrees in Biology and Biochemistry as well as her Doctorate in Veterinary Medicine in 2006. Dr. Butler’s veterinary interests include feline medicine, soft tissue surgery, clinical pathology, behavior and internal medicine. When not practicing veterinary medicine, Dr. Butler enjoys cooking, reading, hiking, skiing, yoga, camping and spending time with her family. Dr. Butler’s family consists of 2 human kids (Silas and Violet), husband (Shane), dogs (Zion and Rona), cats (Lumi and Hallow) and giant tortoise (Hamlet). 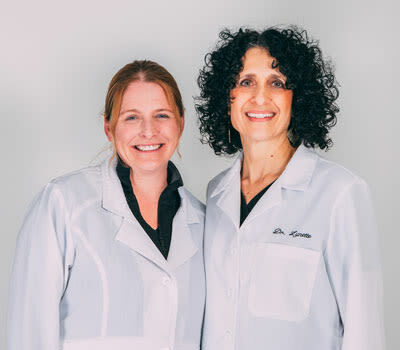 Dr. Lynette Sakellariou was born and raised in Lakewood, Colorado. 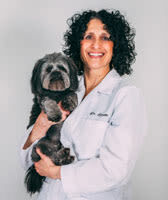 She earned her doctorate degree in veterinary medicine from Colorado State University in 1988. Following graduation, she moved to Salt Lake City, Utah, where she began her veterinary career at Central Valley Veterinary Hospital. While at Central Valley, she also worked at their satellite clinic, East Valley Veterinary Clinic. There she helped the clinic grow and in 1990 became their full time Hospital Director. In addition to providing general medicine and surgery for dogs and cats, she ahs special interest in dentistry and laser surgery. Dr. Lynette “the vet” is married with two children, Alexis and Dimtri. Her outside interests include cooking ,entertaining, crafts, golfing and traveling.